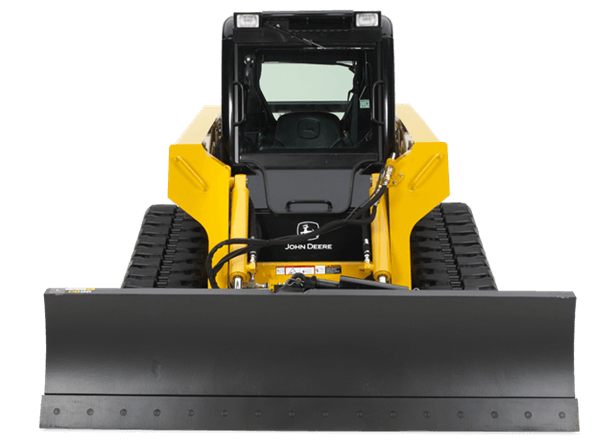 Turn your skid steer or track loader into a compact bulldozer with the DB96 dozer blade attachment. Their rugged design delivers maximum uptime in a wide variety of tasks - from stripping clay to finish grading. The DB96 blade comes standard equipped with reversible cutting edge and skid shoes for long-term durability.Power angle and tilt let you make blade adjustments on-the-go for increased versatility and maximum productivity. Like all Worksite Pro attachments, these dozer blades are optimized to work with John Deere skid steers and compact track loaders, and are compatible with most competitive models. Plus, they're backed by a one-year warranty and one-of-a-kind parts and service.